To build all kinds of bookshelves. 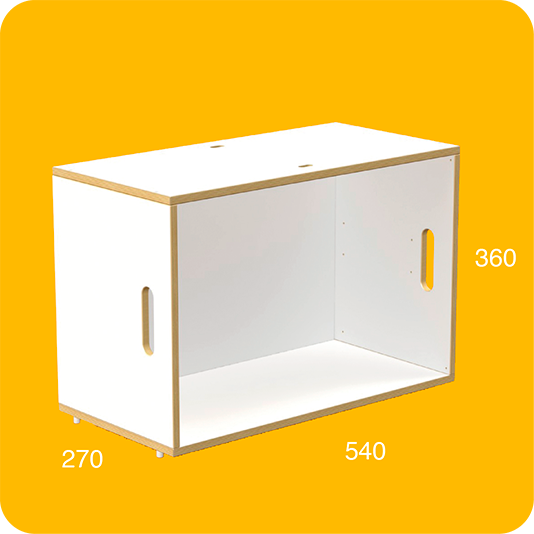 External measurements of the box: 54 x 27 x 36 cms. Internal measurements of the box: 51,6 x 25,5 x 33,6 cms. To complete the ends of the bookshelves. 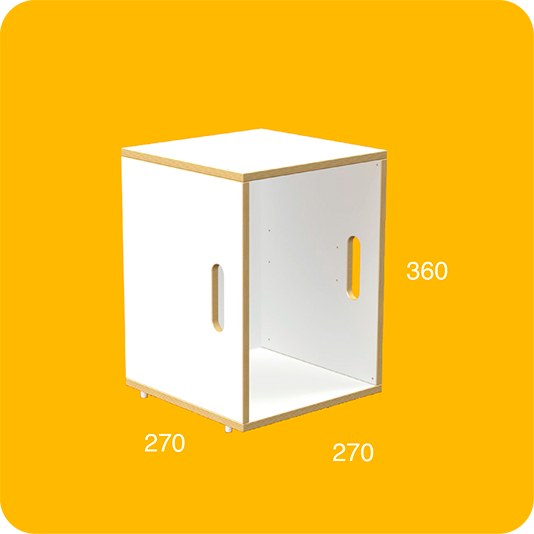 External measurements of the box: 27 x 27 x 36 cms. Internal measurements of the box: 24,6 x 25,5 x 33,6 cms. BrickBox is made from 12mm-thick birch plywood laminated in white. BrickBox is sold ready-to-assemble in flat packs that are easy to transport in any vehicle. Thanks to their practical handles the boxes aid transport when moving house. Do you no longer have to dismantle the bookshelf or box up your things: use the boxes to move things from the house to the car and from the car to the new house! 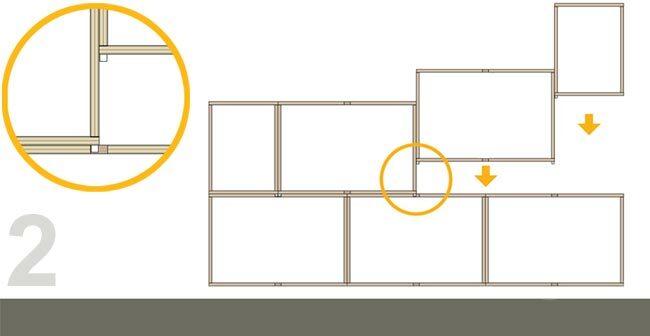 How does the brickbox modular bookshelf work? To make all kinds of bookshelves. To complete the ends of the bookshelf. Large BrickBox modules are assembled like brick walls. The Small BrickBox modules are placed at the end to complete the ends of the bookshelves. Placing the nylon pegs on the base into the lower BrickBox holes creates a safe and secure structure. The BrickBox shelves are attached to each other without the need for screws!